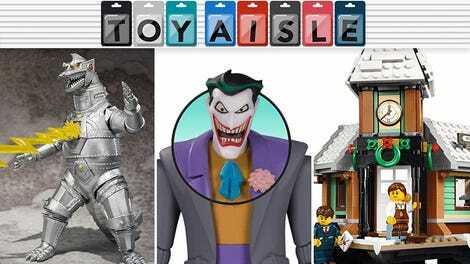 Welcome back to Toy Aisle, io9's regular roundup of the toys most likely to threaten our personal savings this week. 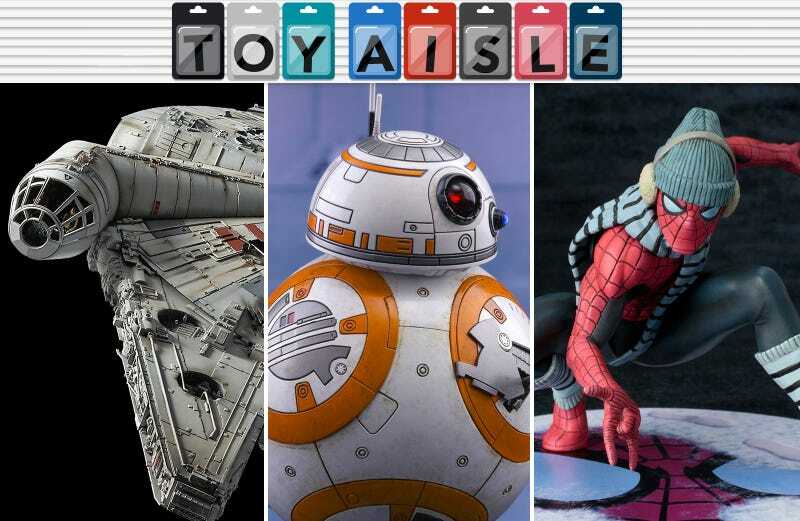 We’ve got even more Star Wars, a wonderfully specific Spider-Man, and honestly, the world’s most adorable Godzilla action figure. Check it out! If you weren’t able to scrape together $800 before Lego’s giant 7,541-Piece Millennium Falcon completely sold out, here’s a decent consolation prize. Bandai Hobby’s new 1/72-scale Millennium Falcon model looks like a prop used to film the original Star Wars trilogy, and it will only set you back $400. It will be available later this year, but you can grab the Falcon early if you’re heading to New York Comic-Con in early October. Just keep in mind you’ll have 700 tiny parts to assemble, and even more painting to do. Kotobukiua’s line of statues is getting a delightful exclusive for New York Comic Con this year: a cheeky representation of a look Spider-Man wears in Amazing Spider-Man #615, answering the time old question of “Wouldn’t Spider-Man get really goddamn cold in that skintight spandex during the winter?” Reader, the answer is yes. 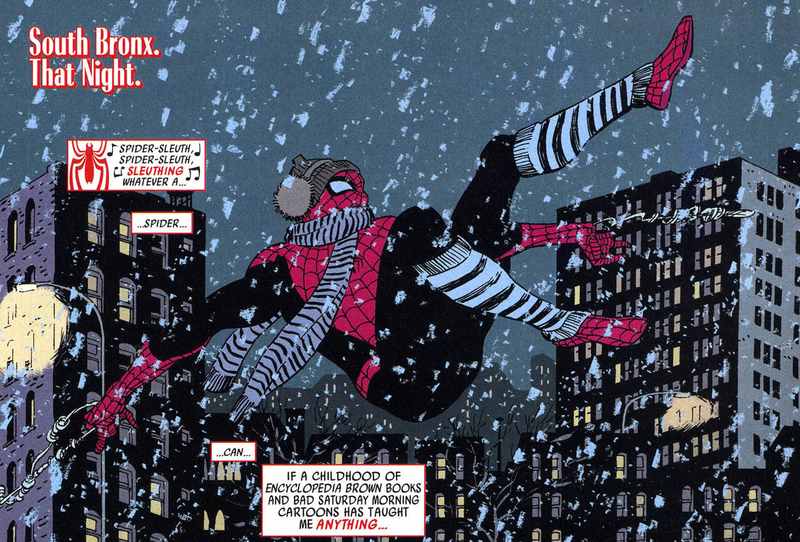 Spidey dons his winter warmers (the hat and scarf of which are removable) while investigating a mystery in South Bronx during a snowy night in the comics, and now it’s a delightful statue of the webslinger that comes with a magnetized, snow-covered base to pose him on, too. The $65 statue is available to preorder ahead of the con right now.